Ah Here, Leave It Out. 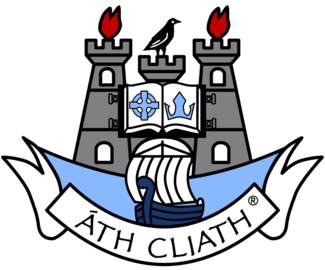 In a somewhat surprising move, members of Dublin City Council have voted the expression; ‘Ah Here, Leave It Out’ as the official motto for Dublin City and County, and from January 21st, the phrase will appear on all legal Dublin documentation, replacing; ‘Story, Bud’, which has been a staple of the Dublin language since 1746. The wording will also be seen on flags, bus and train schedules, decorative items (such as ashtrays, beer glasses, toothbrushes, t-shirts etc), advertizing hoardings and tracksuits. The expression has already been phased in throughout certain sections of the county, with one housing estate in east Blanchardstown and residents of a small field on the outskirts of Castleknock already having accepted it following an online poll. The saying came in with 83% of the total vote, though Enda Kenny’s Government allowed residents of certain towns to vote as often as they liked, allegedly to make up for the recently-introduced controversial laws banning the racing of piebald ponies in built-up areas, as well as a partial ban on the sale of horsemeat in those same areas. When asked to give an opinion on the matter, local ‘livestock merchant’, Buttons ‘Dermot’ McCabe (43), said: ‘I will in me hole’. Other sayings suggested as the county’s official motto were ‘Where The Girls Are So Pretty’, nominated by the Dublin Society for the Partially-Sighted, ‘Come On You Boys in Blue’ by the Gardai Siochana (Dublin division), ‘Get Out of that Garden’, put forward by Deco, Macker and Henno from Ballyer, and ‘Meath is a Dirty Oul’ Kip’, also by Deco, Macker and Henno. The phrase, believed to have been derived from the saying: ‘Ah for the love of Jayziz, will yeh cop on and leave it out’, was first heard in its entirety in the summer of 1976, as the Montreal Olympics were in full swing, and Ireland were winning nothing; ‘As per bleedin’ usual’, according to one local sportswriter. Apologies for the unnecessary use of the word ‘bleedin’, there, but there’s no backspace on this keyboard, so we must simply press on. With Dublin leading the way in the nation’s sports, politics, media and cross-dressing karaoke restaurants, it was only natural that it be the first county to move with the times and introduce a new motto to herald in 2015. Words by Bosco Coppell. Picture by Damian Falstaff.